Do you know someone that is currently battling cancer? 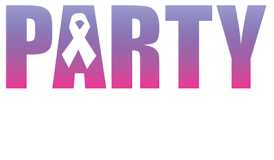 If you know someone who is fighting cancer and could use a helping hand - nominate them for Party For A Purpose - Person of the Year! We will give out $2500 to the chosen Person of the Year. For the month of August we are accepting nominations; nominees should be from the Wright/Sherburne county area. Person of the Year will be announced early September. * Tell us why you think they should be person of the year! * Give us your contact info and your nominee's contact info. That's it! It's that easy; so nominate that person today; together we are making a difference!